Located in Walnut Creek California, about 25 miles East of San Franciso, the Ruth Bancroft Garden has a very interesting collection of succulents, plus a more traditional garden near the house. The following photos were taken in the middle of May 2006. 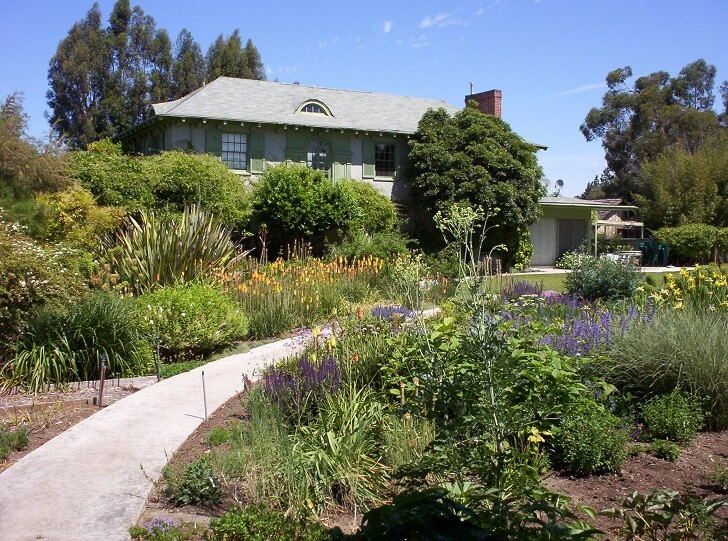 The Ruth Bancroft Garden is definitely worth a visit for the succulent enthusiast. Ruth Bancroft started building the succulent garden when she was already in her 60's in 1972. Her garden is the first to be sponsored by the Garden Conservancy, an organization dedicated to preserving extraordinary private gardens. The Ruth Bancroft Garden is open to the public, but it is not quite as accessible as one would hope because admission is only available by appointment. Therefore, it is recommended that you plan ahead before visiting. The Ruth Bancroft Garden is relatively small and takes less than an hour to explore on your own. Tours of the garden take about an hour and a half.